This is yet another recipe that I made last week however have not had time to post about it (I am slowly but surely catching up!). 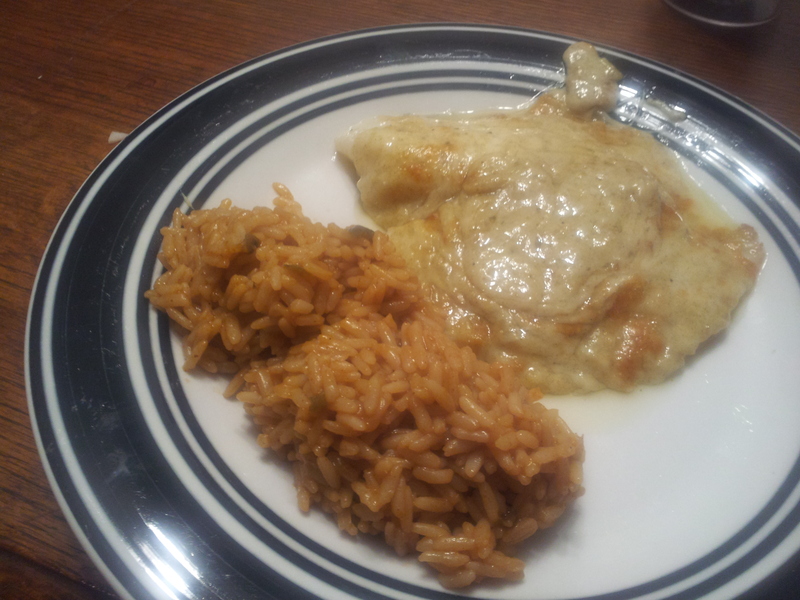 After making this, I finally used up the 10 tilapia fillets I had bought on sale a few weeks ago. I have to admit I’m sort of sick of tilapia now (I suppose that’s what happens when you have it so many times in a row). In any case, this was a tasty dish – who doesn’t like parmesan-crusted food?? -Pat tilapia dry with a paper towel and season with salt and pepper. -Lay on a baking sheet sprayed with non-stick spray and bake for 10-12 minutes. -While fish is baking, whisk butter with garlic, thyme and parmesan cheese. -Remove fish from oven and gently flip (I realized after spreading the mixture on that I forgot to do that, but it still tasted good). Spread about 1/2 tablespoons of butter mixture on the fish, and heat the broiler in your oven. -Set fish under the broiler for about 2-3 minutes, or until cheese gets golden and bubbly.